GQ Magazine called Abbot Kinney “the coolest block in America.” It just got cooler. 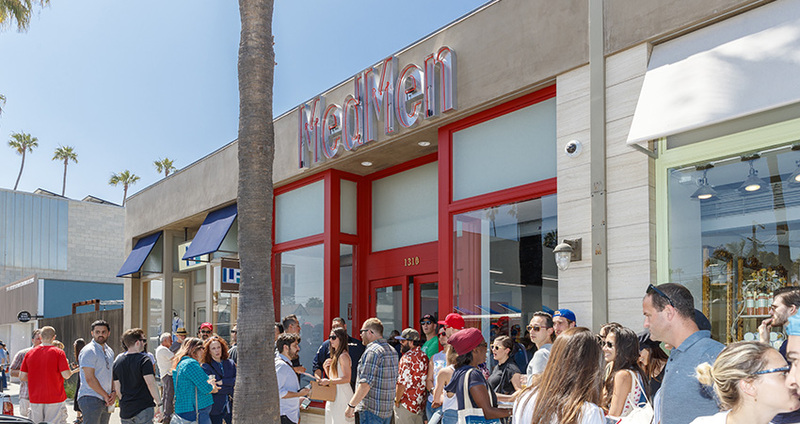 MedMen, the most recognized cannabis brand in the world with stores in Beverly Hills and New York’s Fifth Avenue, opened its newest store on Venice’s Abbot Kinney Boulevard on June 9. With banks of news media cameras surrounding the storefront, MedMen co-founders, Adam Bierman and Andrew Modlin, cut the ribbon. They were flanked by U.S. Congressman Ted Lieu, California State Senator Ben Allen, Assemblymember Reggie Jones-Sawyer and celebrity Rosario Dawson. Lines of customers waited to enter the store. Lieu, whose district includes Abbot Kinney, welcomed customers and greeted the press. It marked the first known time an active U.S. congressman was featured in the grand opening of a marijuana dispensary.